Sitting down together on International Women’s Day, Gretta Urquhart tells KYRA GILLESPIE about her last 30 years spent empowering girls through dance. There couldn’t be a more appropriate day to sit down with Gretta – a woman who has influenced the lives of so many young girls, shaping them to be the strong, confident and successful women that they are today. 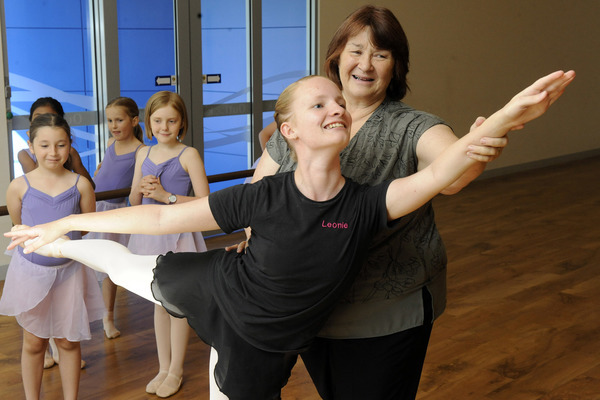 A great many dancers in the Cardinia Shire have probably, at one stage, been part of Gretta’s school. I myself am included: I have the fondest childhood memories of hot summer afternoons rehearsing for ballet exams at the Nar Nar Goon Hall after school; of trying not to suffocate an entire train carriage with hairspray perfecting my ballet bun while heading to Melbourne for summer school; and of two-second costume changes between numbers at the end of year concerts. Gretta Urquhart trained in calisthenics and ballet under Kathleen Gorham and Rex Reid when she was growing up. Her journey into teaching all started when her daughter Claire was young and her friends asked Gretta to start up a dance class. In 1990 she completed the Royal Academy of Dance (RAD) teacher’s course and began accumulating students at Nar Nar Goon and Beaconsfield Community Centre, where she was based for over 25 years. With students needing to attend several classes a week she also started up teaching classes in Pakenham first at the Guide Hall, then at the Living and Learning Centre. Now 30 years on, her daughter Claire now teaches dance and her own grandchildren are now at her school. “I can’t believe it’s been 30 years… how did that happen?” she said with a laugh. “It doesn’t feel like it at all, I just love it. Running a dance school is no small feat; every child has different needs, skillsets and personalities. Not to mention the concerts, exams and costumes on top of all of that. But none of that seems to faze the passionate dancer. “I always wanted to teach so that I could give students a good foundation in their younger years. “But it’s worked out that dance has given them much more than that – it’s given them a good foundation for life. Ms Urquhart says being able to shape young girls to be the best versions of themselves is the best part of the job. “I’m so lucky to be able to help them build the confidence to take on whatever they want to do and to believe in themselves enough to pursue any career that they want to. “It still gives me a real buzz to help the little one who doesn’t know how to skip or the once-timid child who is now blossoming with confidence. It seems like the simplest thing but yet it’s so empowering. Successful local students such as Anna Magrath and Paris Russo are just a few of many who went on to make a name for themselves as professional creatives at the likes of the VCA and The Australian Ballet. Others have used their dance skills to help them get through high school by gaining dance scholarships or by studying dance as a part of their senior subjects. “I love my students and feel so proud of them for pursuing their dreams. “They’re my peers and I really look up to them. “I’m blessed to be able to teach dancers of all abilities. “We see the full range of children and skills, and the best part is that there’s something for everybody in dance. Over the years, Gretta’s school Freelance Dance has participated in a number of community events, including the Pakenham Show, Yakkerboo, school carnivals and nursing home visits. 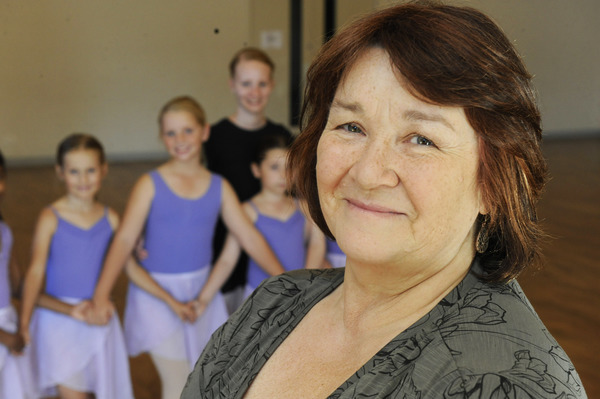 Now based out of Outlook Community Centre in Pakenham, Gretta hopes to involve her dancers more with the wider community. “By giving kids the chance to do more things they become stronger and more versatile. “I struggle to think of anything challenging about my job because I absolutely love it. “The only negative is that I’m getting to the age where I am not as physically capable.